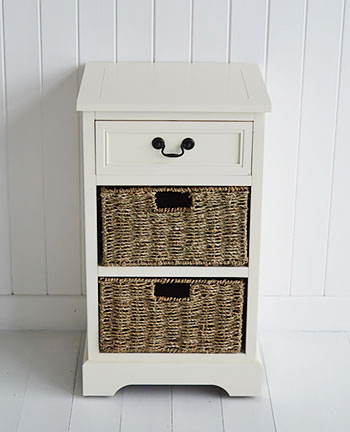 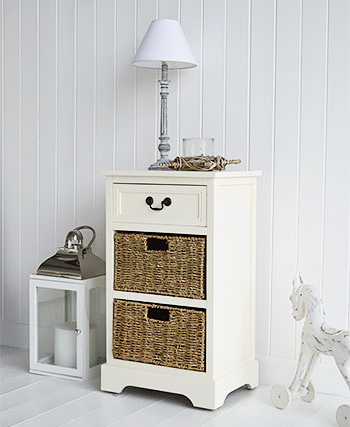 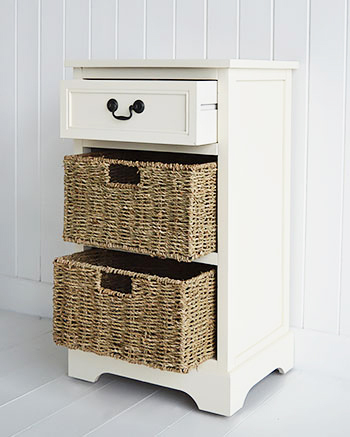 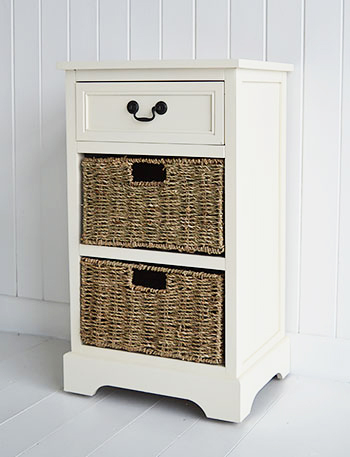 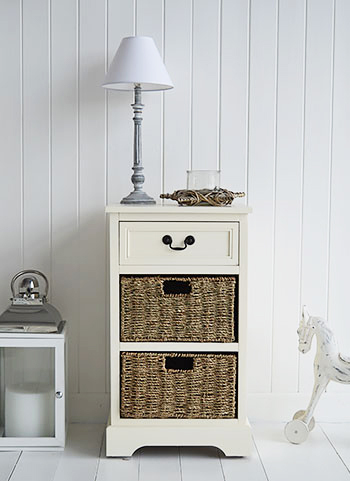 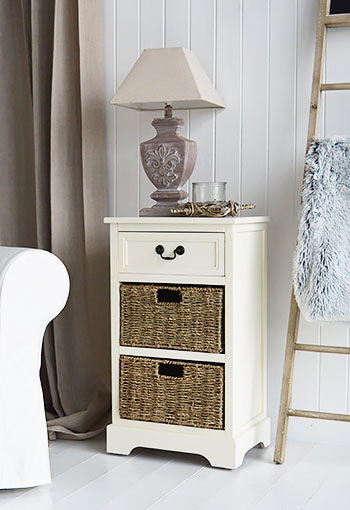 The Cambridge is a cream painted wooden range of furniture with hand woven baskets for great storage and a top drawer with elegant handle. 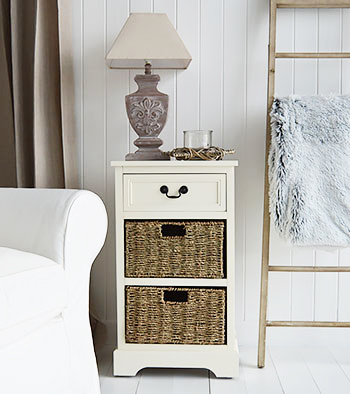 Ideal in a hall or living room as a lamp side table or in your bedroom as a great value bedside table. 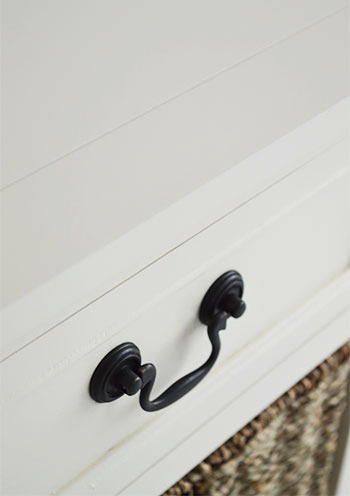 Group incorporates White Cottage Living offering country shabby chic furniture and The Black Bureau offering luxury furniture.